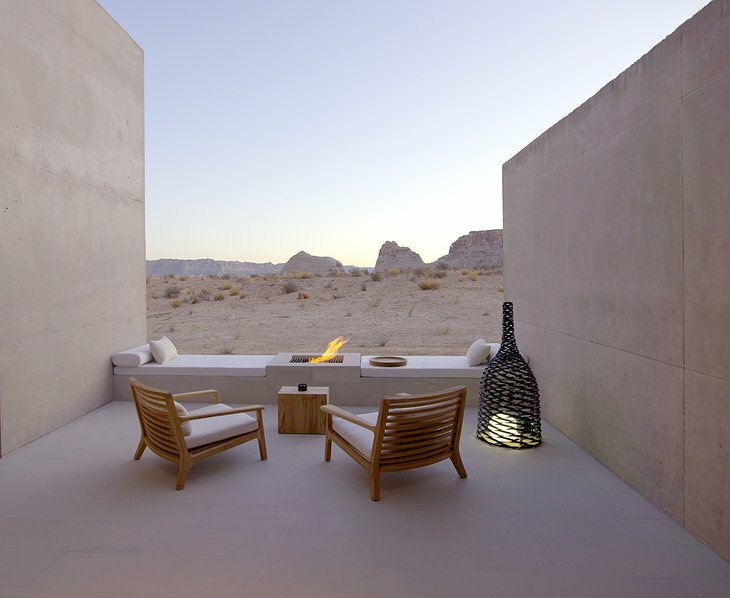 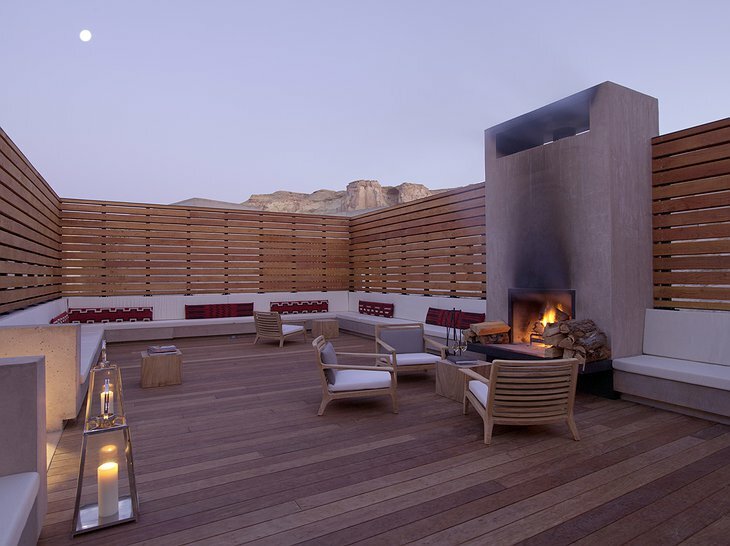 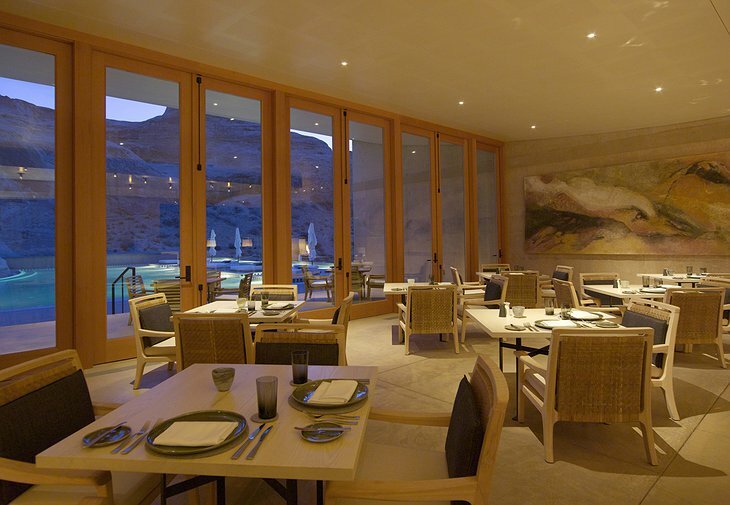 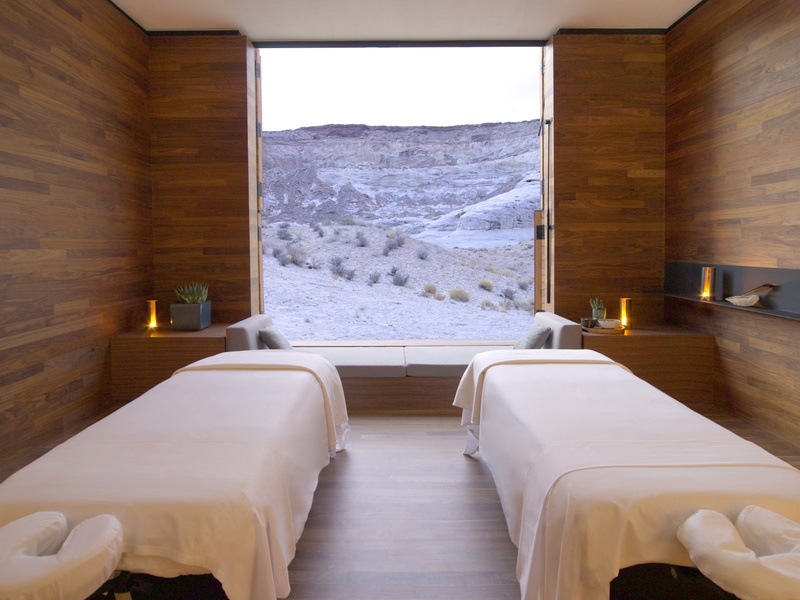 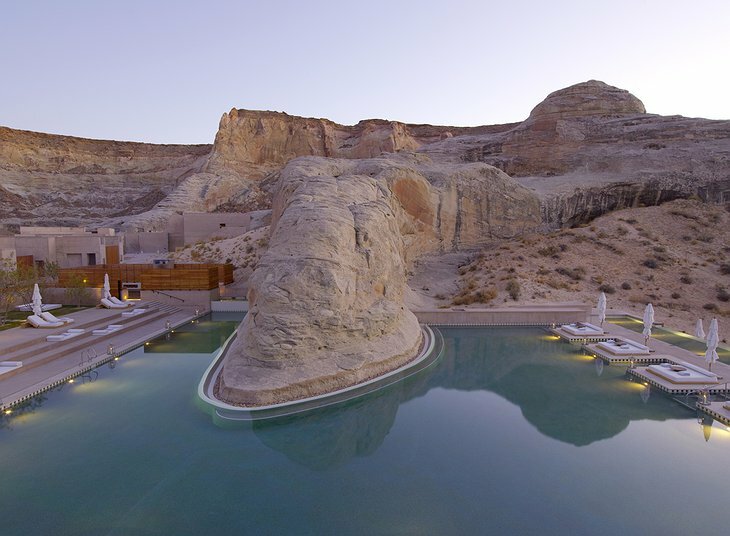 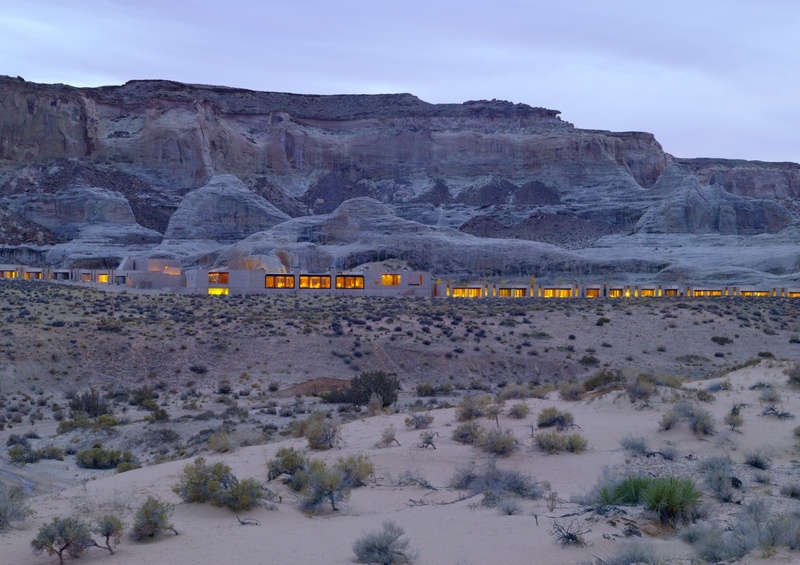 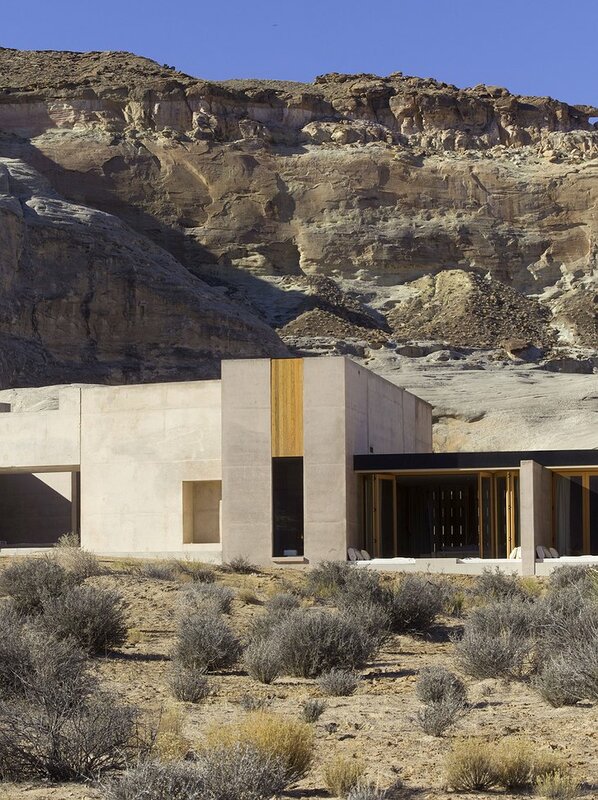 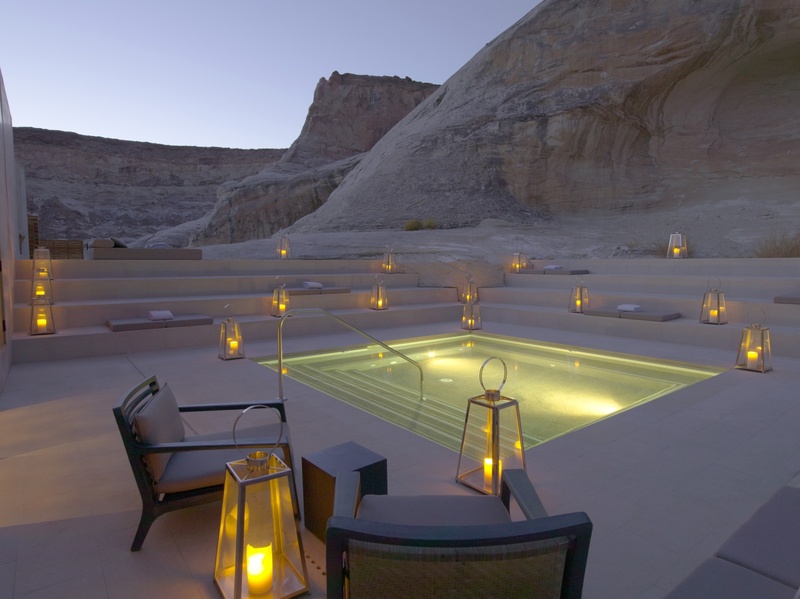 ‘The canyon wilderness, the hoodoo land of spire and pillar and pinnacle where no man lives’ is how transcendental anarchist author, Edward Abbey described the landscape where Amangiri Villas sit; their sandstone walls blending perfectly into the desert setting. The architecture is simple and modern with large glass windows drawing the eye to the boiling pink clouds which flow over visceral crags and rock formations. 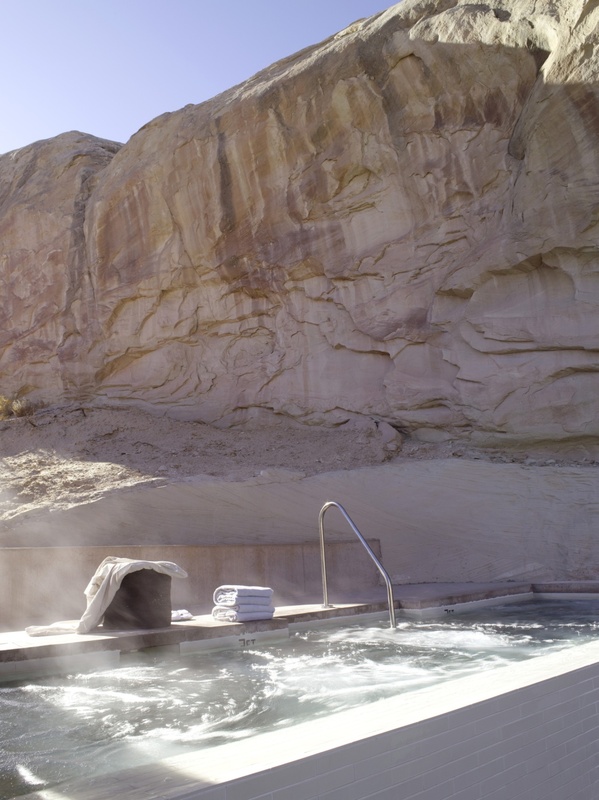 The central pool yields around an enormous rock funneled down from the mountainside. 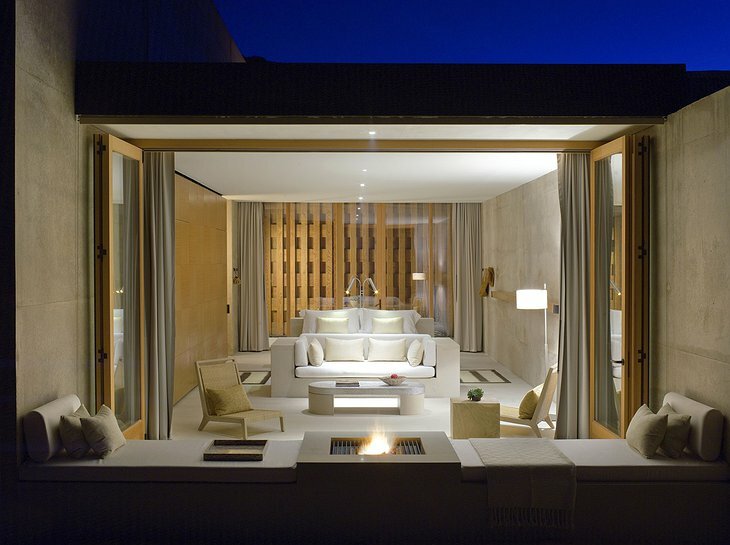 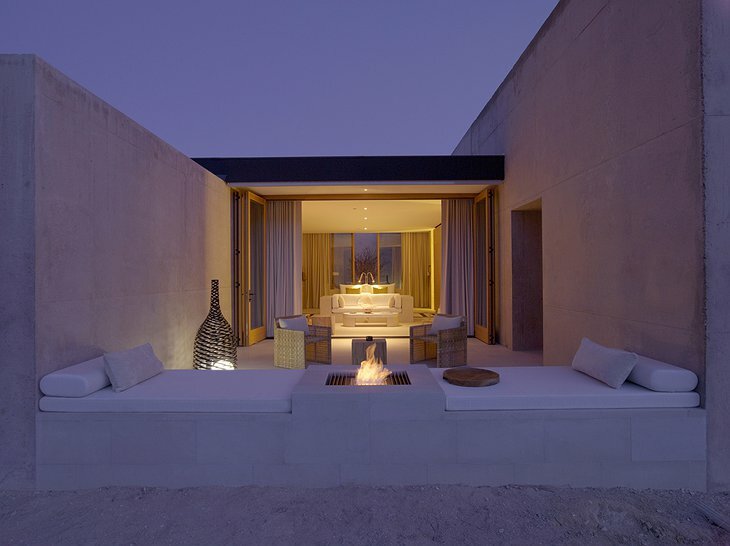 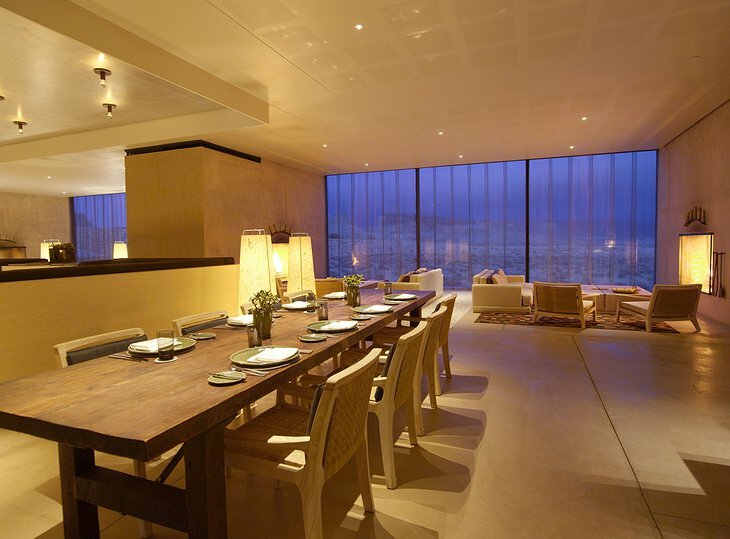 There are king-sized sun loungers and a fire-warmed courtyard. The unique rock formations will call all you mountain climbers while others may enjoy a restful sail through the skies in a hot air balloon. 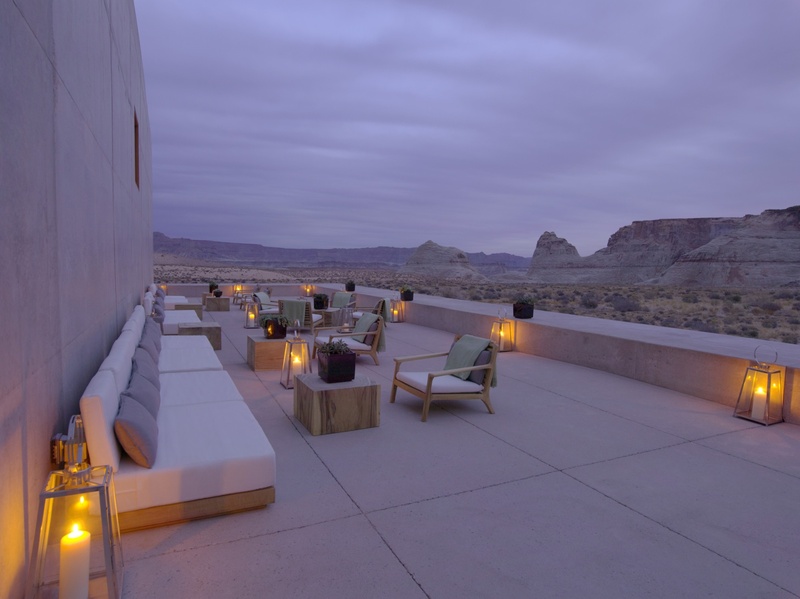 You can mountain bike, trek and explore the region in the day and marvel at space by night by going on a special star-gazing tour. 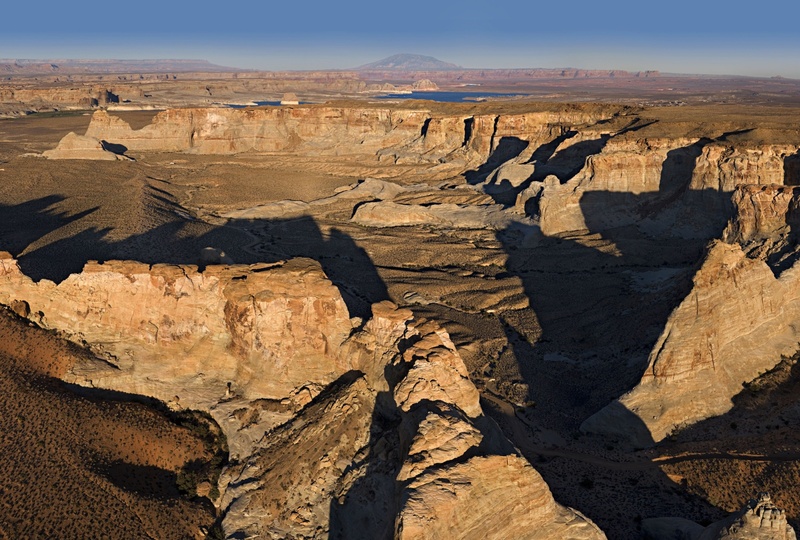 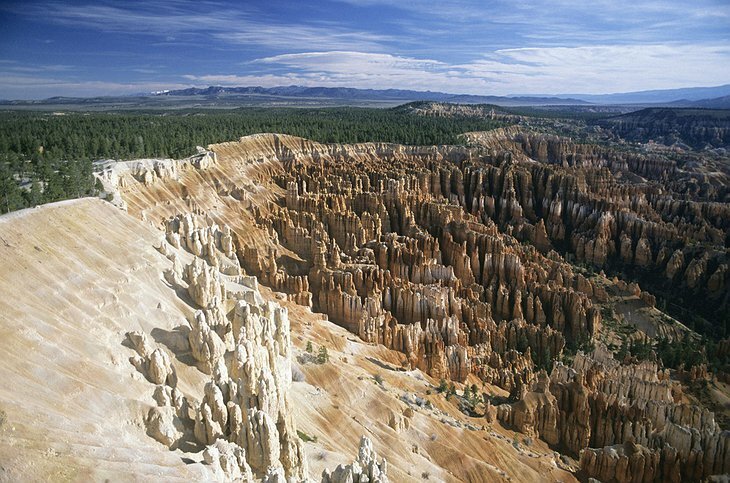 Also nearby is the 200 mile-long Lake Powell and paleontological scientific research stations. 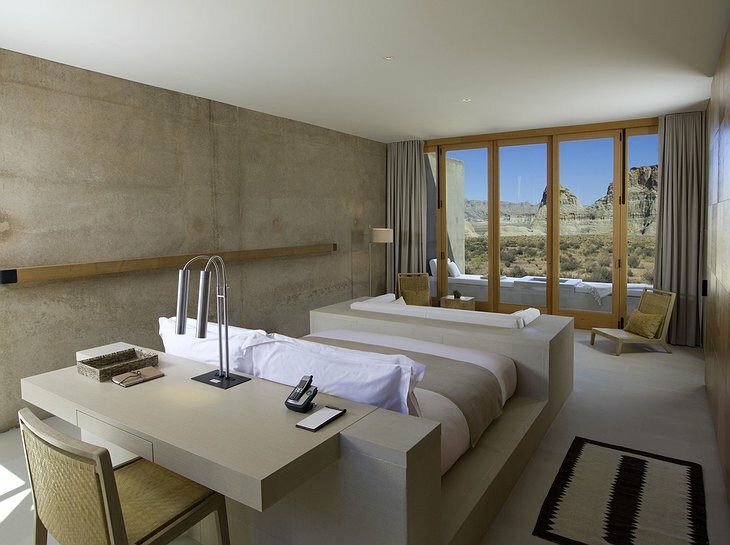 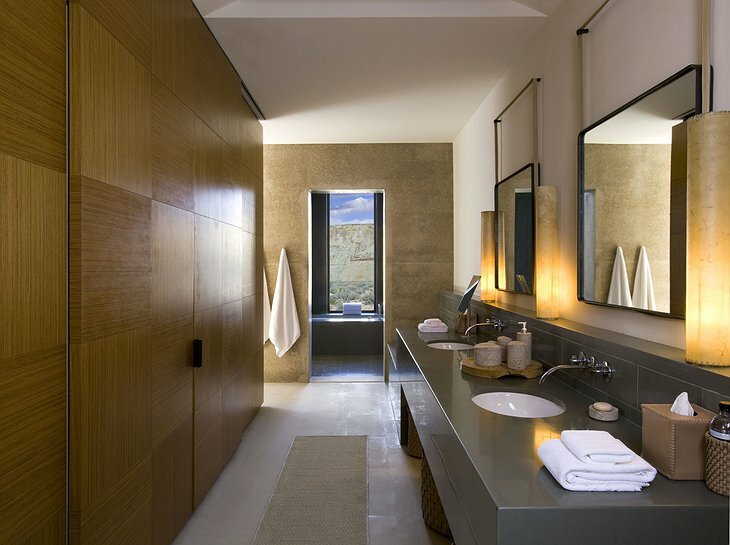 Solar and geothermal energy powers the hotel and the architecture is designed around the trajectory of the sun to give you maximum comfort in your villa whatever the time of day.